In the early 20th century, in the English-speaking world, Arthur Conan Doyle and Harry Houdini were two of the most feted and famous men alive. And their relationship is extraordinary: As strange as it may seem Arthur Conan Doyle, the creator of the ultra-rational detective Sherlock Holmes, was a believer in Spiritualism. He came to his belief, that one could communicate with the dead, after his son was killed in World War I, and became an expert in the field. 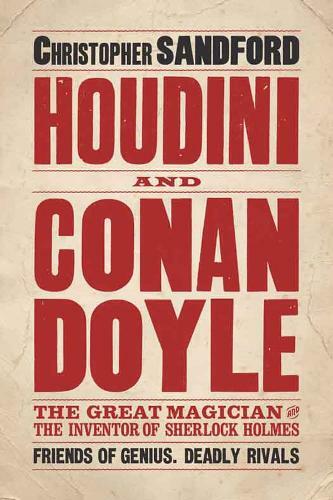 Harry Houdini, the world's foremost magician, was a friend of Conan Doyle's, but was sceptical of his belief in the supernatural. Houdini took every opportunity to use his knowledge of illusion to expose psychics who he thought were fakes, particularly incensed by their exploitation of grief and insecurity. Based on original research, this sensational dual biography of two popular geniuses conjures up the early 20th century and the fame, personality and competing beliefs.